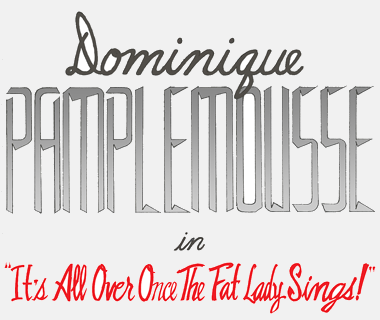 Dominique Pamplemousse in It's Not Over Until the Fat Lady Sings is a film noir inspired detective adventure game game that is a full musical complete with singing. In the game, a gender ambiguous private investigator named Dominique Pamplemousse has fallen upon hard times, and ends up taking on a case from a record executive who is searching for their missing pop star client. 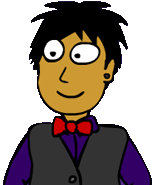 The game was funded by a crowd funding campaign through Indiegogo. Backers received the game for Windows, Mac, and iPad on March 18, 2013. The game was released to the general public on the preceding three platforms on April 1, 2013.